Looked into my nucs today, its been a week since I switched upper boxes and I wanted to see if there was any changes. The heavy box I thought I could harvest some honey but it seems there is new brood in the upper chamber so I left it for later. 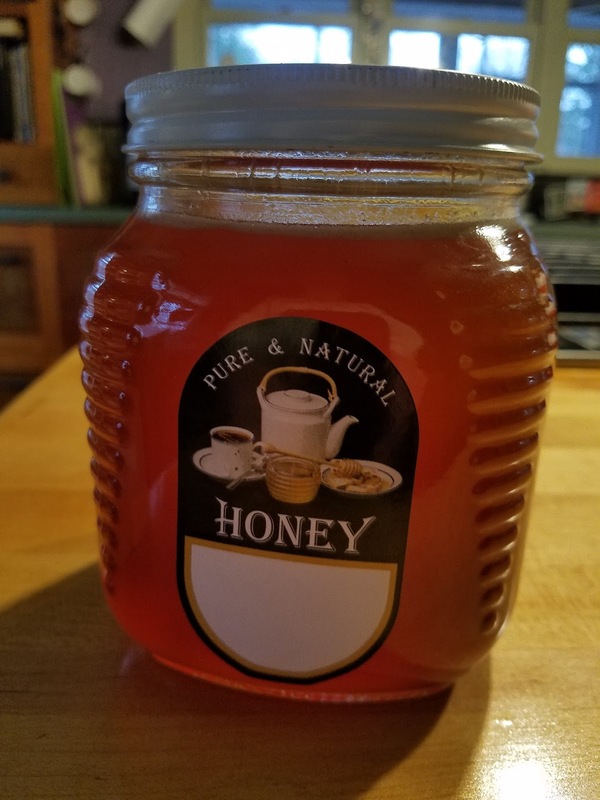 Lots of honey tho, just on the upper parts of the frames. The second box, which I suspected of being queen-less, still had some old unhatched brood in the upper chamber. Checked the lower chamber and to my surprise, there was newly capped brood. I must have brought the queen from the previous switch. That hive is fixed, now to watch the other. Did not look for a queen cell in hive No1 so will monitor, although both hives bringing in pollen, a good sign. Spraying for West Nile virus starts tomorrow so today I took 3 of the 5 nucs north and set them up on the property. The small swarm I caught last week seems queen-less so I installed 3 frames of brood, larvae and eggs (I hope as I can't see that well) from the strongest hive. Now its a waiting game to see if they make a queen cell. If not I'll try again. Nothing tried, nothing gained. Yesterday I opened up the nuc where I had placed one of the larger swarms. I had placed a comb of bees and brood in it on Sunday and wanted to see how it was progressing. They have built quite a bit of new comb and in it there were eggs and larvae which means they have a queen and she seems to be laying good patterns. Now the question is? Is this the swarm queen? or did I accidentally move the queen with the frame I installed. A check of the other hive in 5 days will reveal if they are making a queen cell. The really small swarm I caught Monday is bringing in lots of pollen which is a good sign also. Will check its progress next week. Have no more comb to spare right now so they are on their own. Lots of time left in the season. Drove up to the farm to mow the lawn and see how the bees are doing since I installed the push in queen cage on Monday. When I pulled the frame I could see that they had eaten through the back of the comb to get to the queen. Found several dead bees in the cage but no queen in the pile. 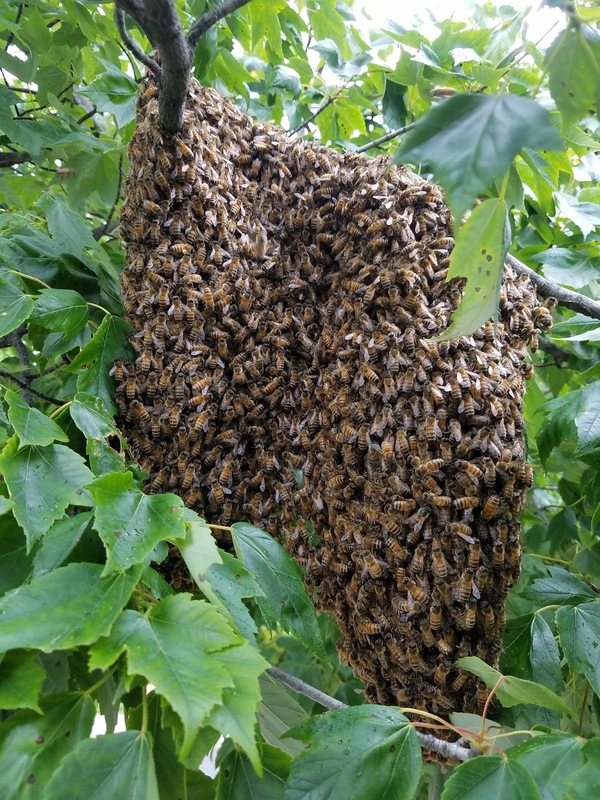 Searched the whole hive but could not see her, even though she is marked. The bees were bunching all over the place, so I tried to separate them to no avail. Found lots of pupae in the cells so I guess she's okay. The other two hives are going strong. 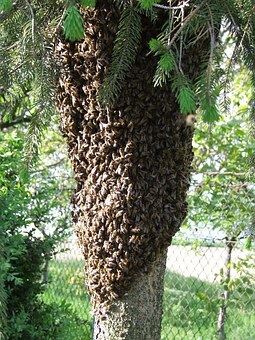 If they expand any more, I think I will split one of them, as I might do to the last swarm I just caught. We'll see in a week or two. This week has been busy with 4 different call outs. Three have come from the same person and same tree over a 5 day period. The other was just down the street. One swarm was so sweet I never lost a single bee. Both the others were on dark rainy days and they got me plenty. Usually I wear no protection but these made me don it on quickly. They even stung through my leather gloves. Hived now, they are gentle. One swarm I gave to a club member who lost 2 of her three hives over the winter.